Lots of states have signature foods using the state as their namesake. There’s Baked Alaska, Hawaiian Punch, Texas BarBQ, Carolina BarBQ, Maine Lobster, Idaho Potatoes, New York Strip Steak, Wisconsin Bratwurst, Kentucky Fried Chicken, California Rolls, Georgia Peach Pie, Louisiana Anything and yes, Virginia there is a Baked Ham named for your state. But, my home state, Illinois is sadly lacking in a “state named” food. Oh sure, the Chicago Style Pizza and Hot Dogs are widely recognized as the best in the nation, but those are from a city. There is no Illinois name sake signature food dish. Keeping with the smoky theme, brown two links of smoked sausage, chopped and diced. Sausage screams Chicago. Or does Chicago scream sausage? I can’t remember how that goes. To keep it healthy, chop up some vegetables. 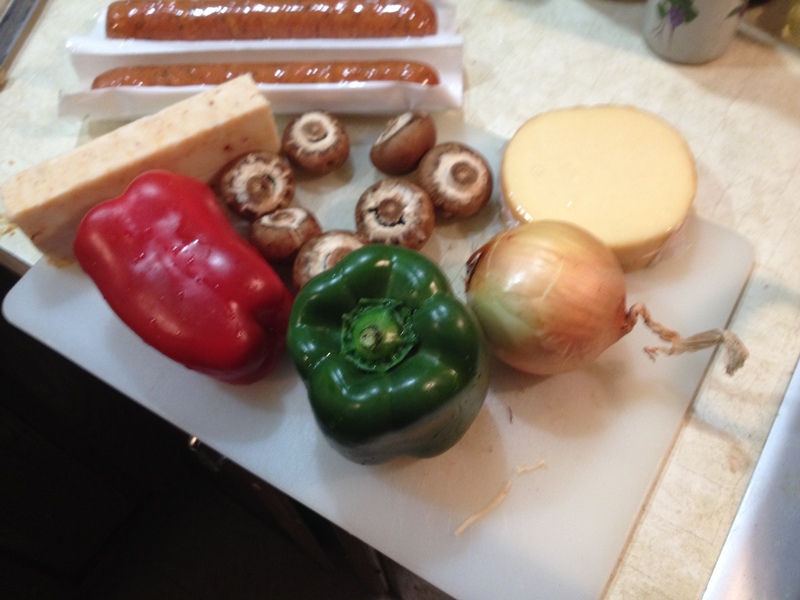 Use Illinois grown Red Peppers, Green Peppers, Mushrooms and Onions. (Important note: Your best shot at Illinois vegetables is the famous Southern Illinois grown variety. (C’mon work with me here fellow ill-in-esians.) In all other parts of the state, fresh Illinoisan vegetables are only available the last two weeks of August, so you just may need to hit the Supermarket. Add the veges and some olive oil to the pan after you have scooped out the now browned meat and saute. Boil some noodles, maybe two boxes. I used organic penne pasta grown from an organic noodle farm just west of Effingham in South Central Illinois. Even the people of Effingham do not know where the farmer gets his organic pasta seeds. OK, here’s the fun part. 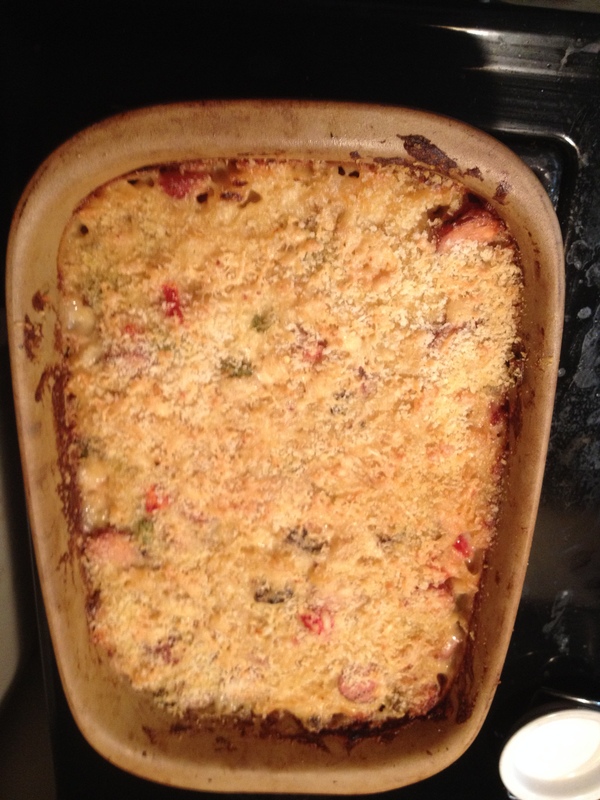 Put the noodles (or do you say pasta) in a big casserole dish. Throw in the veges and chopped sausage and toss it around. 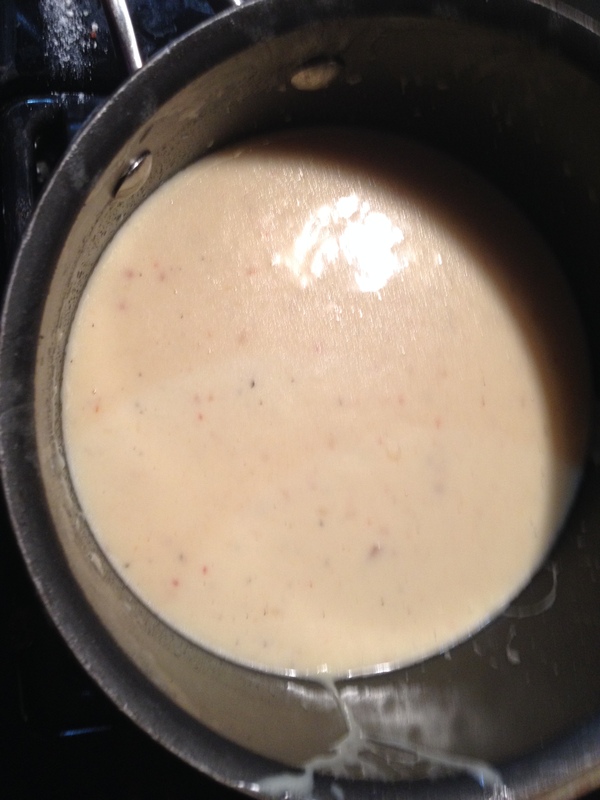 Then pour the cheese mix in and stir it around again until evenly mixed. Spice it up with Paprika and Italian Seasoning. Bake in a 375 degree oven for 15 or 20 minutes until the top is golden brown. FOOTNOTE: Wedwand wants to thank everyone for their support of “February Food Fair Month”. Website views are near record this month, so share this one with your friends so we can shatter the record. Sha do-bee.